First of all, let’s get this straight right away – the prospect of Social Financing is tremendously appealing and promising. The fact that private capital can be deployed for servicing public good – and earning a sizable profit at the same time, is enough to garner widespread attention and so it has in the recent years (or has it been popular in the recent months only?). But this model is successfully applied towards Student loan consolidation and refinancing if done correctly. Before going into that debate, a clear and concise definition of Social Finance is in order. Simply put, Social Financing is the deployment of private capital, sometimes in combination with government based funding, to address a specific social need in exchange for positive financial returns. What is the current Social Financing scenario vis-à-vis student loan consolidation and refinancing? To date, government institutions have been the mainstay of the Social Finance market but lately, there has been an increased flux of various foundations, social impact investment funds and mainstream investment houses. Currently, the government via programs such as DirectLoans allows students to combine or consolidate multiple federal educational loans into a single loan. The resulting interest rate that students have to pay is a weighted average of their prior loan rates and generally translates to paying more interest over a (usually lengthened) period of time. The private lenders on the other hand, allow students to both consolidate and refinance both federal and private loans generally at a lower interest rate than the original one. The reason behind this is that a private lender will typically base the new refinancing rate on the current financial status of a student (pertaining to his/her credit score, employment status etc.). If a student has a good credit score and a good, stable source of income, he/she might get a lower interest rate and be able to save considerably higher on refinancing. Founder of SocialFinance, a student loan refinancing startup, Mike Cagney says that the greater interest a student is already paying on his/her original loan, the greater his/her savings can come out to be. This is because those borrowers who have already taken up high-interest federal loans such as the PLUS loans can save considerably higher by choosing the private social financing model instead of the government one. For this to happen though, a student must be able to show a strong financial background – an ideal candidate would be a young, affluent student who has just graduated from a school with low loan default rate. Another important benefit of deploying Social Finance for student loan refinancing is the option to reduce the payment term to 5 years or extend up to 15 years or more. By doing so, students get to pay lower monthly installments while at the same time the lower interest rates mean the amount repaid in total doesn’t increase by much. Meanwhile, companies such as SoFi or SocialFinance have moved a step ahead in the student loan refinancing by incorporating unique ways that benefit both the company and the borrowers. They are allowing entrepreneurs a six-month deferment on their loan repayment while they are busy pursuing a new business venture. SoFi has also launched an “Unemployment Protection” program that helps borrowers who are financially struggling or became unemployed after graduating, by finding them new jobs. Why Social Financing Works For Student Loan Consolidation And Refinancing? Through social financing, the borrowers are happy because they are getting to pay an interest rate lower than that of their original federal loans while the lenders win as they are able to make more money than their usual bank accounts. Even the government has been so far accommodating on the Social Financing model as it allows it to utilize private capital for solving pressing social needs. For the government, Social Finance acts as a new source of government revenue without having to up the taxation norms. On the other hand, for the banks, it merely means a chance to showcase themselves as the “good guys who are out to do some good” in the aftermath of the financial crisis of a few years ago. 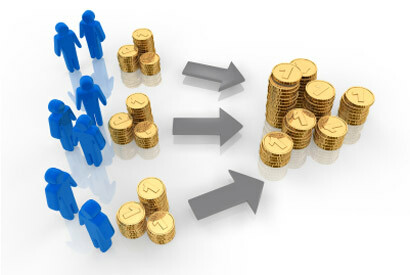 While for the charities, Social Financing offers a possibility of a sustainable fund stream instead of the regular and endless cycles of fund raising and spending. Remarkably and truly a win-win situation for everyone!